The ongoing negotiations on the US-EU Transatlantic Trade and Investment Partnership (TTIP) free trade accord should be paused for constitutional reasons, a former president of Germany’s Constitutional Court said Thursday. MOSCOW (Sputnik) — On July 11-15, the Belgian capital of Brussels hosts the 14th round of the TTIP talks between the United States and the European Union on the details of the free trade agreement. "For constitutional reasons, taking a pause from TTIP is recommended. The public has the feeling that the far-reaching law is being made without parliament… Unpopular content can’t be slipped past parliament. That’s reprehensible in terms of democratic theory and is an arrogant and cynical way of proceeding," Hans-Juergen Papier said, as quoted by the German Handelsblatt newspaper. 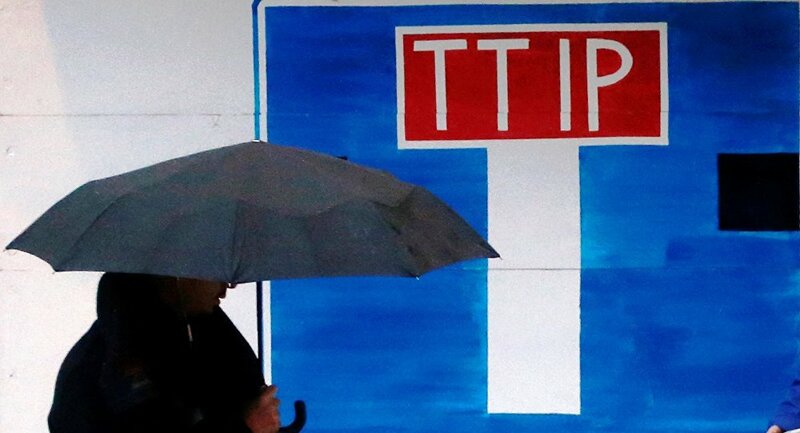 Papier added that the 28-nation bloc should reconsider the goals and the process of the negotiations on the TTIP deal. The TTIP free trade agreement, which has been negotiated since 2013, involves the creation of a free trade zone between the European Union and the United States. The TTIP agreement has drawn severe criticism for the lack of transparency in the negotiations as well as for the tremendous power it would potentially give to international corporations.